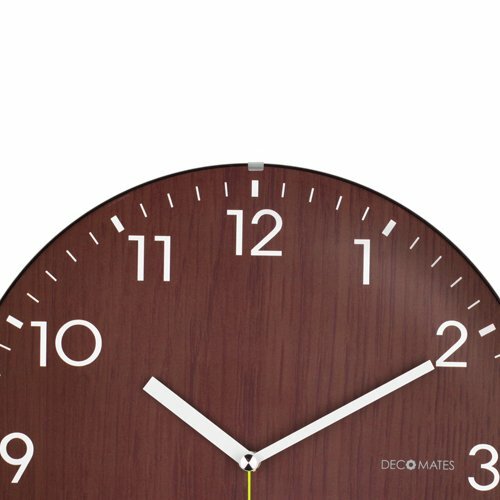 Adorn any room with this Dome Wooden Wall Clock from DecoMates. The white numerals contrast with the wooden background for clear view. Because it shows all increments and has all three hands, this clock will give you an accurate read on time down to the second so you do not need to second-guess yourself. 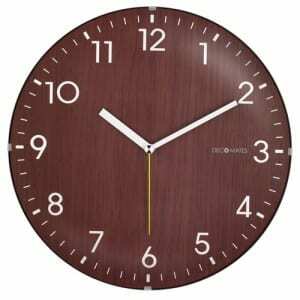 The clock is simple in its design and offers quick and easy installation. All you have to do is insert a single AA battery (not included) and the back slot makes it easy to hang. Another great thing about this clock is that it is even easier to maintain. It is super easy to clean because the clock is cased with a dome shape lens that covers and protects the face from dust and debris. The clock is silent so you do not need to worry about the constant ticking of regular clocks when you need some peace and quiet to concentrate on your work or enjoy a full night of undisturbed sleep. 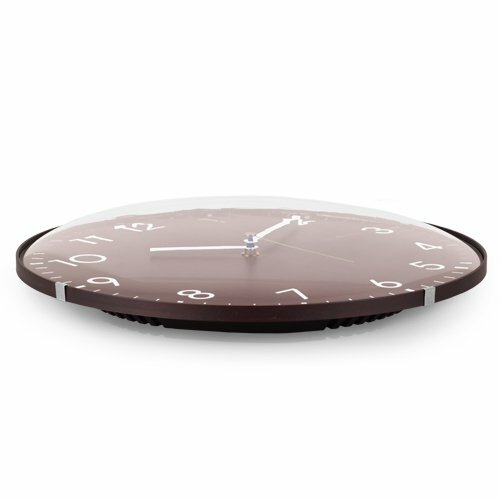 Add a traditional touch to your room with a clock that is both practical and stylish.